Oh, breakfast! / Hey, EEP! 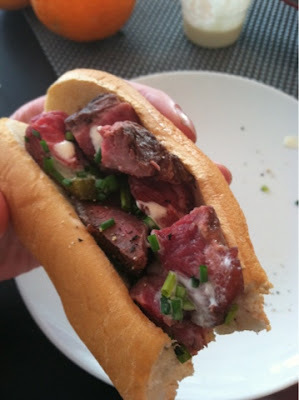 Breakfast: cold leftover steak & aioli from dinner last night, chives, smoked pepper & Maldon on a hot dog bun. Amazing.